On July 18th, 20th and 22nd, the 70 and over kicked off their season with some tennis, food and fun. Held at Mt. 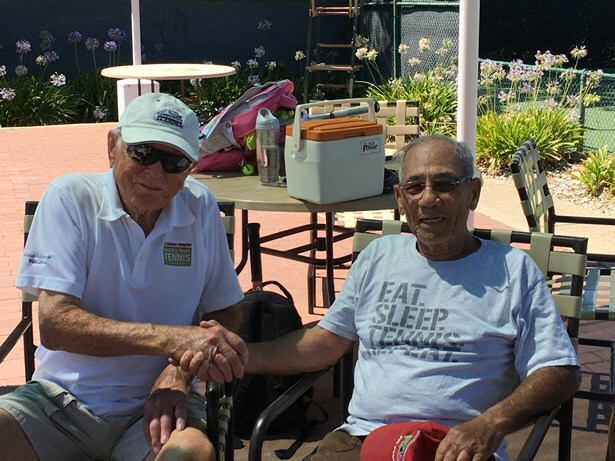 Tam Racquet Club, Sunnyvale Tennis Center, and Laguna Creek Racquet Club, these seniors are not shy about their intentions. This league is a true example that tennis is a lifetime sport, as Barros for instance, has been playing for 60 years. Since it was created with the help of Bob Walsh, over 8,000 participants have competed. “The more we play, the more we enjoy it and the more we want to compete,” says Walsh. The secret to longevity is “to play at your level and compete,” says Barros. “It was a successful event and everybody enjoyed themselves,” says Barros. Thank you to all who participated. Take note tennis lovers, the next 70 & Over league starts September 5, 2016.